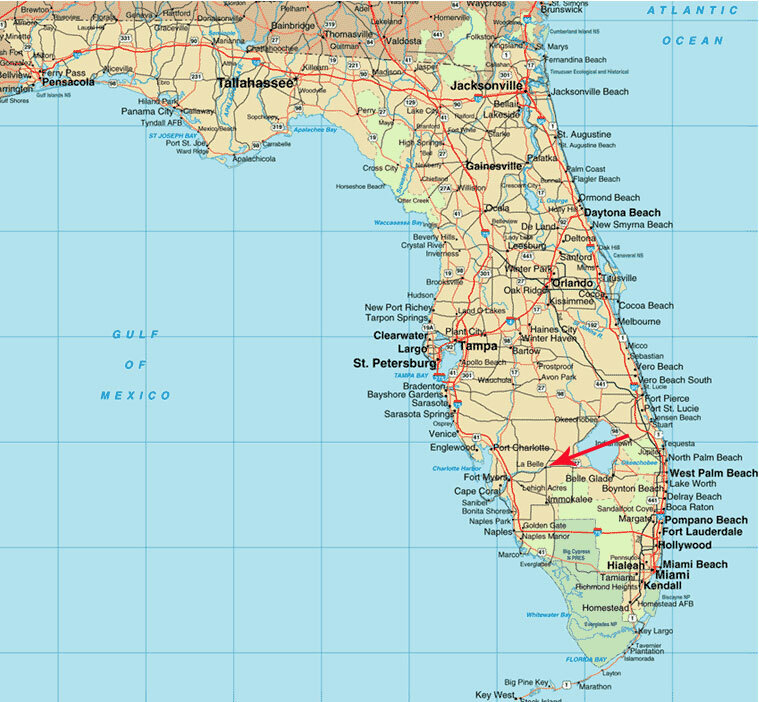 Find LaBelle on a general map of Florida. 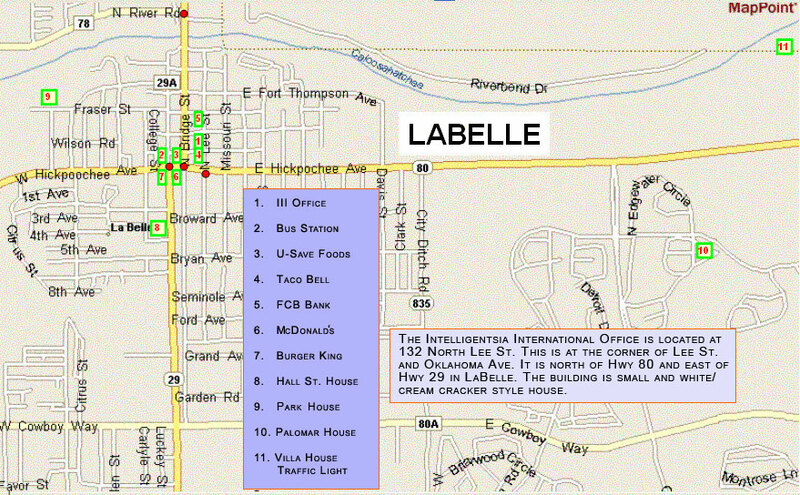 Locate Intelligetsia's office on a city map of LaBelle. 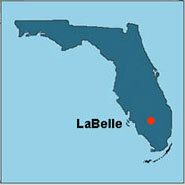 LaBelle is a small city, approximately 30 miles east from Fort Myers and about 100 miles northwest from Miami. To get to Florida, you should fly to Ft. Myers or Miami (where most direct intercontinental flights arrive). We recommend Fort Myers as a final destination of your flight, as we provide free pickups from this airport. In case you arrive to Miami airport, then you should plan on taking a Greyhound bus from Miami to Ft. Myers or LaBelle. There are several buses that depart from the Greyhound bus station in Miami every day. Check Greyhound website for details. If you need to fly to other city in Florida (Orlando, Tampa), then you need to plan your trip on a Greyhound bus to Fort Myers or LaBelle as well. 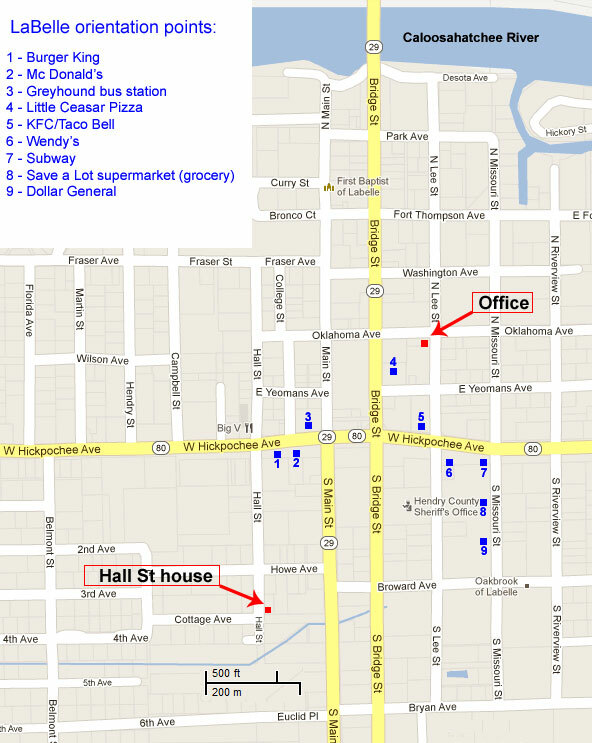 Learn more about arrival details and useful hints.